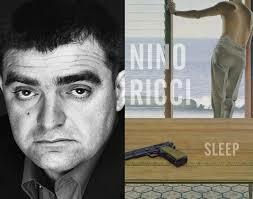 Nino Ricci’s first novel was the internationally acclaimed Lives of the Saints. It spent 75 weeks on the Globe and Mail‘s bestseller list and was the winner in Canada of the F.G. Bressani Prize, the Books in Canada First Novel Award, the Governor General’s Award for Fiction, and in England of the Betty Trask Award and Winifred Holtby Prize. In the U.S. it was shortlisted for the Los Angeles Times Art Seidenbaum Award for First Fiction and was a New York Times Notable Book, and in France it was an Oiel de la lettre Selection of the National Libraries Association. Published in seventeen countries, Lives of the Saints was the first volume of a trilogy that continued with In a Glass House, hailed as a “genuine achievement” by The New York Times, and Where She Has Gone, nominated for the Giller Prize. The Lives of the Saints trilogy was adapted for a television miniseries starring Sophia Loren and Kris Kristofferson. Books in Canada commented that Ricci’s trilogy “so amply demonstrates the author’s tremendous talents that we would be foolish as readers not to follow him down whatever road he next chooses to follow.” That road led him to Testament, a fictional retelling of the life of Jesus. Hailed as a “masterpiece” by Saturday Night, Testament was a Booklist Choice for the Top Ten Historical Novels of the Year and a Times Literary Supplement Book of the Year. It was shortlisted for a Commonwealth Prize and for the Roger’s Writers’ Trust Award for Fiction and was a winner of the Trillium Award. Nino Ricci was born in Leamington, Ontario, to parents from the Molise region of Italy, and completed university studies in Toronto, Montreal, and Florence, Italy. He has served as a writer-in-residence for the Toronto and Kitchener public library systems, for the University of Windsor and the University of Toronto-Scarborough, and has held the Mariano Elia Chair at York University, the Chair in Religion and the Arts at Assumption University, the G. M. Hopkins Chair in Literary Studies at John Carroll University, the Killam Visiting Professorship in Canadian Studies at Bridgewater University, and the Pathy Visiting Professorship in Canadian Studies at Princeton. He is also a past president of PEN Canada, a writers’ human rights organization that works for freedom of expression. Ricci has been a recipient of the Alistair MacLeod Award for Literary Achievement, of York University’s Pinnacle Achievement Award, of the Engel/Findley Award for a Writer in Mid-Career, and of an honorary doctorate from the University of Windsor. In 2011 he was appointed a member of the Order of Canada. He lives in Toronto with his wife, writer Erika de Vasconcelos, and their children.